ECM-as-a-Platform – building a modular, extensible approach to content management – Generis: CARA – The fastest, most feature-rich, scaleable, configurable user interface and business rules engine for Documentum, Oracle WebCenter and Alfresco. The success of open source software and cloud services illustrate the success of modular, distributed API-centric systems, however the lessons seem lost on many categories of enterprise applications where hulking, monolithic, proprietary leviathans reign. However, like dinosaurs treading the landscape, their days are numbered the more business users get a taste for nimble cloud services that can be assembled like dim sum morsels into a complete set of enterprise capabilities. Having conquered the technology for delivering virtual infrastructure (IaaS), cloud providers continue moving to higher levels of abstraction, unleashing a plethora of platform and application services that can both replace existing IT systems and obviate the need for DIY construction of components and utilities for custom applications. Cloud-savvy developers like those behind online consumer services are accustomed to exploiting the cloud for reusable components like databases, message queues, application notifications and event-driven (serverless) functions. These force multipliers allow small companies to rapidly scale and keep up with a relentless pace of product innovation. Indeed, the power, flexibility and scalability provided by the cloud are why Lyft has a contract to spend $300 million with AWS over the next three years. Curiously, legacy enterprise applications have been persistently resistant to such cloud-inspired modularity and service-oriented design, however, there are promising signs in one software category that has never lived up to its promise: enterprise content management. In reality, however, a single platform to achieve these four goals (the ECM strategy of many organizations) has proven to be almost impossible for most. … I personally have come across very few enterprises in my nearly 20 years in the business who have anything less than three (and often more) of such repositories. A number of which have been the aborted result of a full, “horizontal”, ECM rollout. The dismal ECM record hasn’t been lost on several companies that are pursuing a strategy akin to the content services model he goes on to propose. The idea acknowledges the folly of trying to aggregate the myriad sources of enterprise content in a single repository, replacing it with a modular, extensible platform that can easily connect systems used for content production and storage and provide functions for content analysis, collaboration, summarization and reuse. 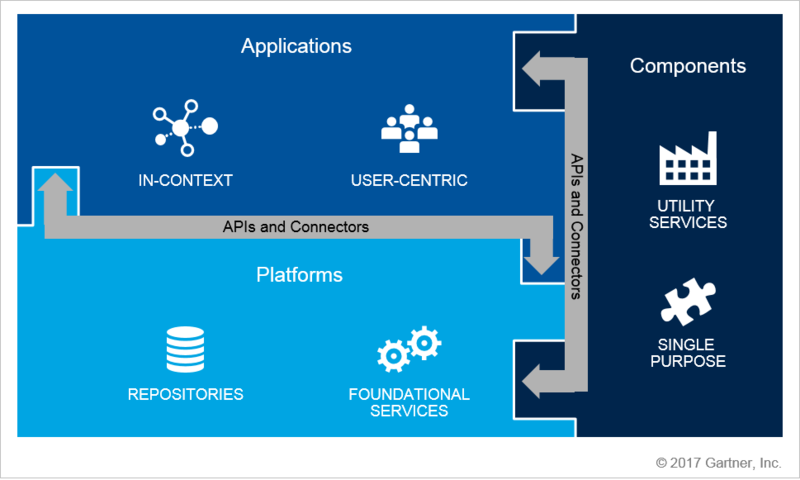 Unlike monolithic, mainframe-style ECM systems, content platforms combine standards and protocols for integration with APIs into a programmable package that simplifies the creation of custom applications, dashboards and reports that pull data from multiple sources. As such, content services platforms can be considered as a set of ECM microservices, many of which are delivered via cloud SaaS, that can be mixed-and-matched as needed for particular applications and processes. 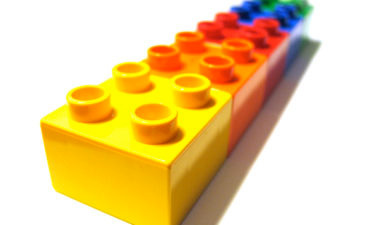 While traditional ECM products have added connectors to various data sources, these are still bridges to a walled garden in contrast to the federated communities of content that ECM platforms create. Several companies have adopted the ECM platform services paradigm, most notably Box. Box started the pivot from a cloud file sharing service to an enterprise content platform more than three years ago, a shift that coincided with its hiring of Jeetu Patel, a former EMC Executive and founder of the Syncplicity file sharing service. The intervening years have seen the company methodically expand its enterprise feature set, programming tools and developer outreach. As Patel told Phil Wainwright, Box understands that enterprises require hybrid workflows that can span on-premises and cloud information sources. Where content needs to be in the cloud, we want to still make sure that that business process doesn’t break as a result of it. Our customers have said, ‘Look, just because you’re moving to the cloud doesn’t mean that everything else will move to the cloud. We’re starting with content, but we might actually keep some of the other pieces on-prem right now. As we are keeping those on-prem, we still want you to work with them. Although platform building is a lengthy undertaking, Box’s financial results so far show a favorable customer reaction. Revenue for the year ending January, 31st is double what it was three years ago, although Box is far from profitable due to soaring operating (up 48%), R&D (up 59%) and SG&A (up 29 percent) expenses. Most enterprises are held back by their legacy content management vendors. Legacy on-prem systems like Documentum, OpenText, and SharePoint make it far too difficult to share content and manage business processes across the extended enterprise in addition to being too costly and complex for the digital age. Combined, these capabilities enable customers to retire legacy ECM technology and integrate Box into ERP systems, line of business apps, business processes, and more. For instance, one customer we closed in Q4, Lineage Logistics, international warehousing, and logistics company, will leverage Box Skills through Box platform to power new warehouse automation initiatives. The full power of our cloud content management platform is realized when an organization leverages Box for broad digital transformation, enabling a digital workplace and powering digital business processes across the extended enterprise. Although Box gets most of the mindshare, vendors of other general-purpose cloud storage services like Dropbox, Google (Drive plus G Suite) and Microsoft (OneDrive plus Office 365) have developed tools, APIs and partnerships that allow creating process workflows using content from many sources. We continue to forge partnerships that position Dropbox at the center of our users’ workflows. We’re firm believers in the power of integrations and one of our most important differentiators is that we’re a uniquely open and interoperable platform. We continue to expand the capabilities and breadth of our platform, we want to play more and more jobs for our users and do more and more for them over time as we deliver that value. We think it’ll be something that’ll be more valuable to more users and eventually more customers. Generis is a smaller company that has evolved its CARA ECM product into an umbrella content services platform. Although marketed as a UI for traditional ECM repositories like Documentum, Oracle WebCenter and Alfresco, over time Generis has added connectors to cloud content in Box, Google Drive and G Suite, AWS and Sharepoint online. 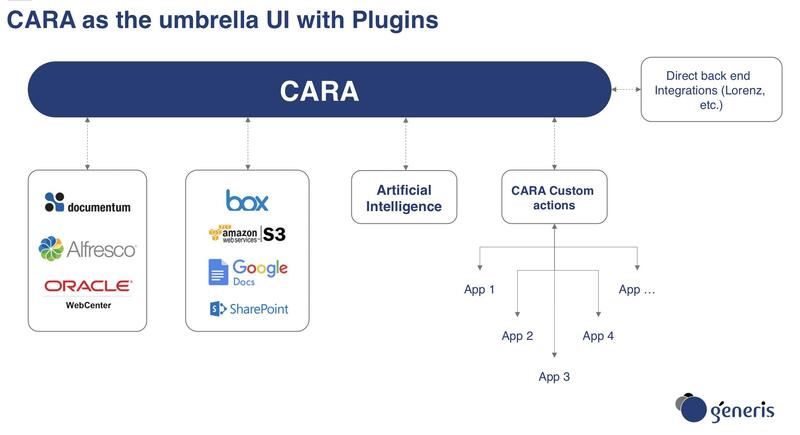 Whereas Box is bolting workflow automation features onto an existing file storage service, Generis has focused CARA on data integration, analysis and automation, leaving the content storage and management to the myriad other applications and services that enterprises already use. Generis’ business strategy also differs from Box in that it doesn’t yet target the market for general-purpose ECM, but targets particular industries and workflows with unique and often demanding document handling requirements. Chief among these is big pharma and companies in life sciences and other heavily regulated industries which have stringent and complicated workflows for such things as regulatory approval (aka Regulatory Information Management or RIM, experimental reporting, labeling and quality control. Customers in this niche have taken note since a recent survey of life sciences companies ranked the company one of the best for both innovation and dependability. By unshackling ECM from proprietary products via extensible, programmable platforms organizations can take a page from the open software movement by unleashing the creativity of developers, line of business managers and non-experts by reducing the friction associated with using monolithic systems. Aside from general-purpose BPM and industry-specific workflows like RIM, content management platforms can address several critical needs facing most organizations including information sharing and collaboration data preparation and sophisticated analysis using machine learning and predictive analytics. As the Gartner blog recounted, traditional ECM products have failed at most of these information management challenges and are ill-suited for an era of dynamic, digitized business processes characterized by modular, distributed systems, cloud services, mobile users and global business partners. Disclosure – The author worked with Generis to develop a whitepaper detailing the ECM platform model and describing its approach to content management and the company facilitated my contact with Merck about its use cases and evaluation criteria.